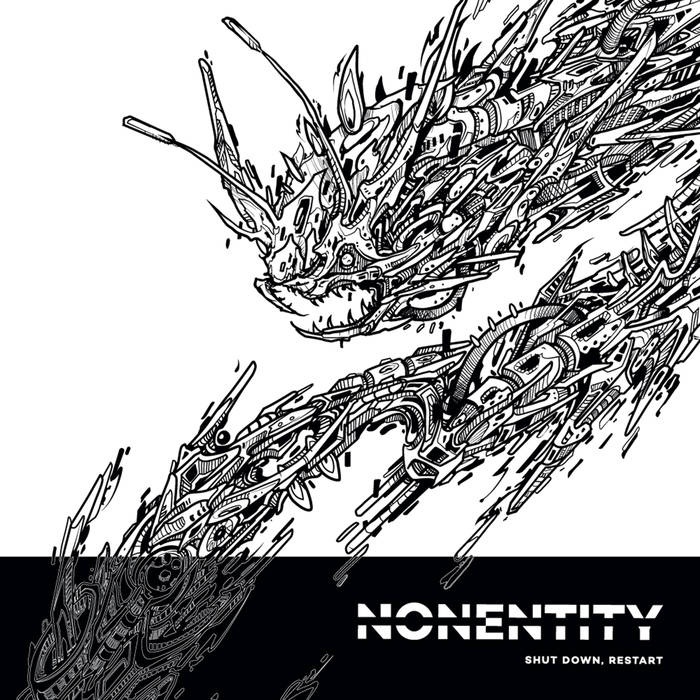 Teleporting himself back into the physical realm for our subliminal listening pleasure, NonEntity’s first full release on Australia's Uncomfortable Beats imprint transcends bass and time. A brainchild of the Melbourne artist alternatively known as U-Wish, ‘Shut Down, Restart’ has been pressed to wax and is being distributed by the UK’s most hallowed dub/bass purveyors, White Peach. Expect mad scientist samples and crackles of artificial intelligence, shot through with ghosts of dubplates past, staggering through deep sludge and sonic space wobble across nine interstellar tracks. Japan-based aerosol artist and designer Benjamin Knock breathed fire and life into the album artwork; a manifestation of the deep seeded connection between the consumption of technology/machines adding to the changing planets current situation and the dark art unfolding for future generations. Maybe we all need to hit "Shut Down, Restart".